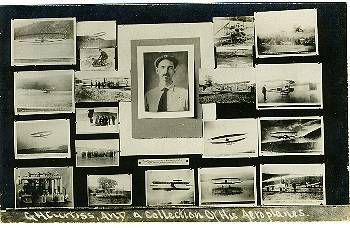 JACK213-Curtiss and his airplanes. A great multi-view by Benner. 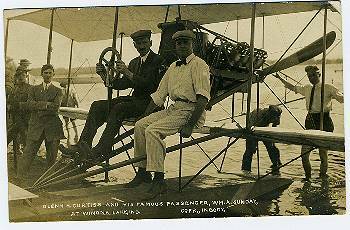 JACK215-"Only authentic photograph of Curtiss in Hydro-plane on the first flight from water." Arcade View (address in San Diego on stamped on back. ), Jan. 25th, 1911. 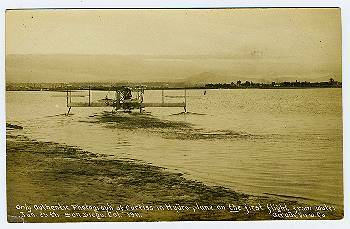 JACK216-Curtiss on hydroplane, San Diego, Cal. stamp on back: Harold A. Taylor, Hotel Del Coronado, Coronado, Cal. 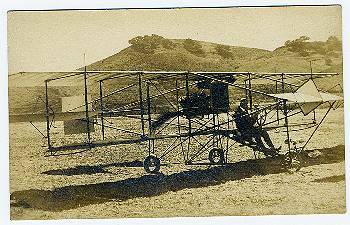 JACK217-Curtiss launching hydroplane in San Diego, Cal. Taylor's name and location stamped on back. See above. 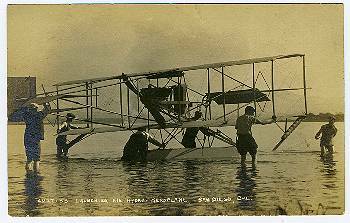 JACK218-Curtiss alighting in his hydroplane after hitting a dummy battleship with a bomb. Height 900 ft. 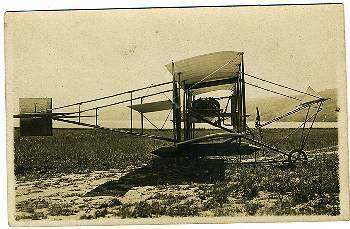 Copyright by Benner, 1910. 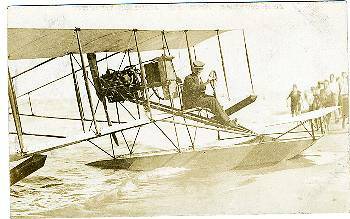 JACK220-Curtiss flying his hydroplane, San Diego. Copyrighted by Taylor at the Hotel del Coronado. 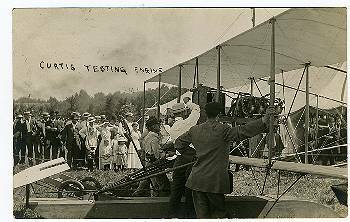 JACK222-A great close-up of Curtiss testing a plane's engine. CANCEL: July, 1911. Cancel not totally registered. Probably an RPO...Whe...Chi...(tr16). 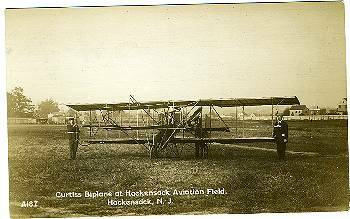 JACK223-Curtiss Biplane at Hackensack Aviation Field, NJ. 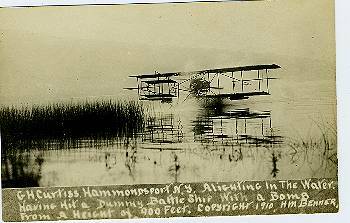 "Genuine Photograph made by The Garraway Co., Rutherford, NJ." 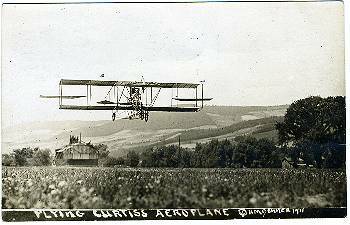 JACK224-Flying Curtiss Aeroplane, copyright by Benner, 1911. 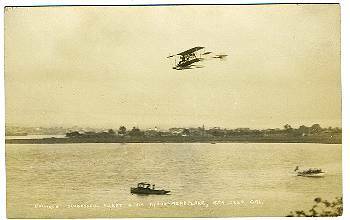 JACK226-U.S. Government hydroplane bought from Curtiss. 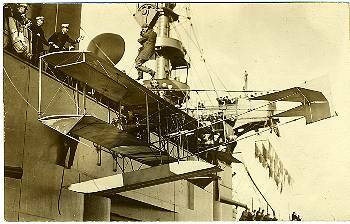 (The Navy bought three planes from Curtiss.) Photo by Benner. 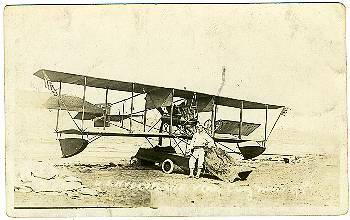 JACK227-A photo close-up of Curtiss and Wm. A. Sunday at Winona Lake, Ind. Inbody photo. 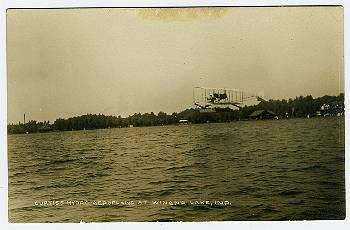 JACK229-Curtiss hydroplane at Winona Lake, Ind. Inbody photo (Elkhart, IN). 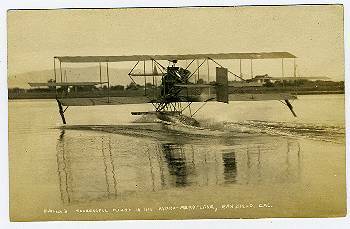 JACK230-A great close-up of Curtiss in hydroplane. 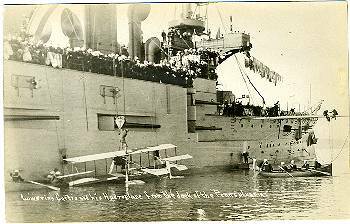 JACK231-A super photo of the lowering of Curtiss and his hydroplane from the deck of the Pennsylvania. Loads of sailors in this image. 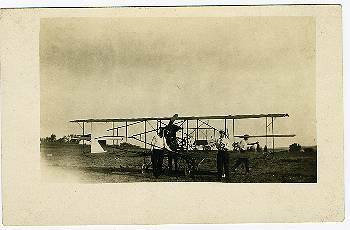 JACK232-On Feb. 17, 1911 Curtiss flew to Pennslyvania and was hoisted aboard. Plane was lowered, and he flew back to land. 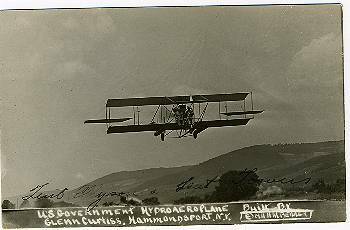 CANCEL: Hammondsport NY, partly faded.